Snails are going extinct « Nothing in Biology Makes Sense! Given that I studied an abundant snail during my PhD (actually, Potamopyrgus antipodarum is invasive throughout most of the world), this headline was alarming to me. 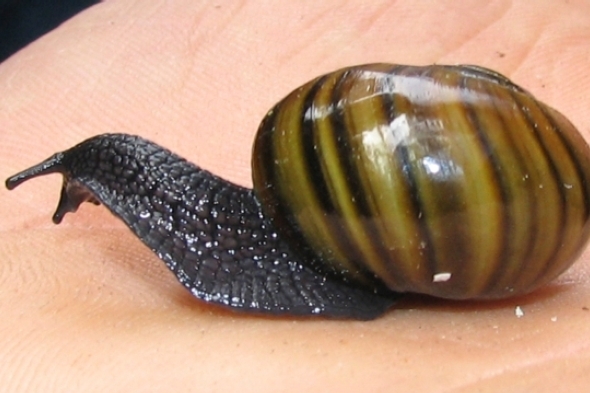 But like many uncharismatic microfauna, snails are declining in record number across a number of different habitats. Read about it over at Scientific America, and save the snails! This entry was posted in conservation, Endless forms most beautiful, extinction. Missing link to the original article? I am amazed I don’t do that more often. Like forgetting to attach a file to an email, when the sole purpose of the email is in fact to send the file in question. :-> Got it, thanks; interesting article.